The choice of the style to follow is essential for a memorable wedding that reflects the tastes of the couple and meets guests' expectations. To achieve a perfect result you will need a wedding designer, the specialist that sets the mood of a wedding and translates it into the finest details that create the right atmosphere. 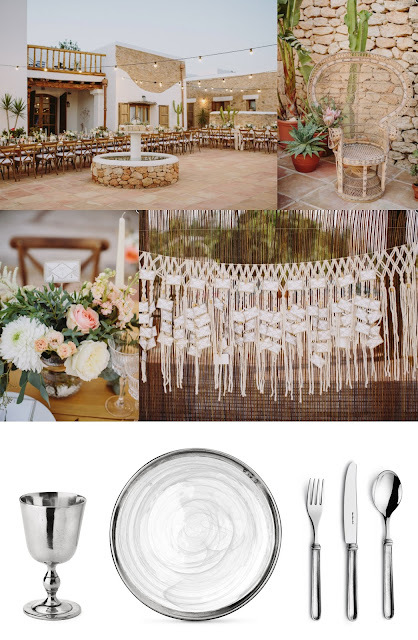 In this blog post, we've chosen four of our favorite wedding designer and have matched the mood they create with some Marinoni objects. The four themes are by the sea, bohemian, in the countryside, and romantic. 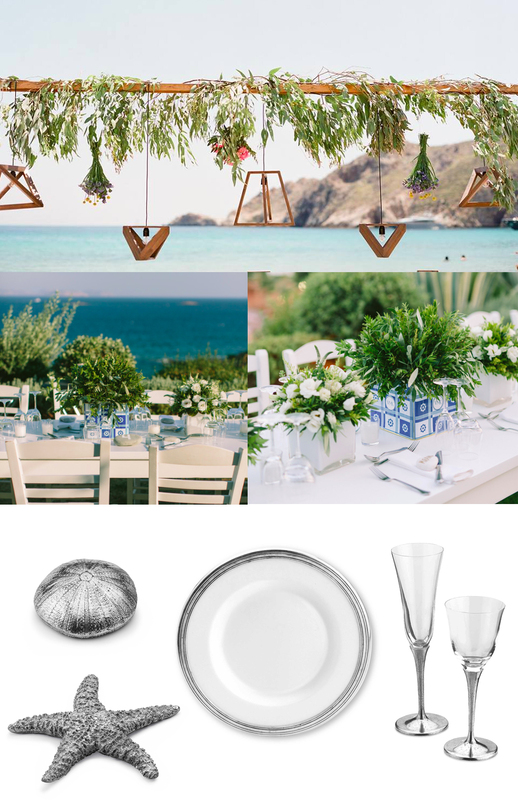 Let's start with the mood board "by the sea" inspired by White Lilac , which we combined with our Starfish paperweight, the Seaurchin paperweight , the pewter and ceramic charger, the flute and the pewter and glass wine glass. Next, a bohemian mood board inspired by Le Jour Du Oui, which blends perfectly with the pewter and white glass Volterra dinner plate, the medieval style Marinoni goblet, and this simple yet elegant cutlery set. 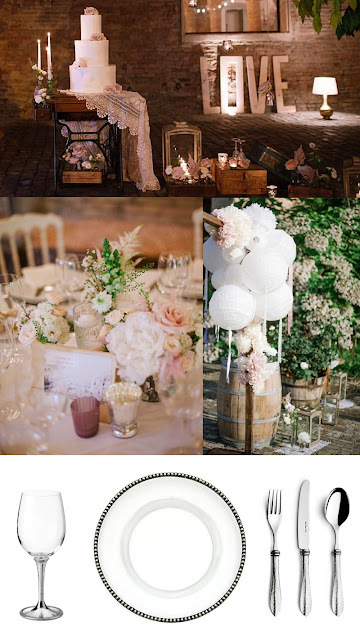 Ila Malù has inspired us with its wedding party "in the country". 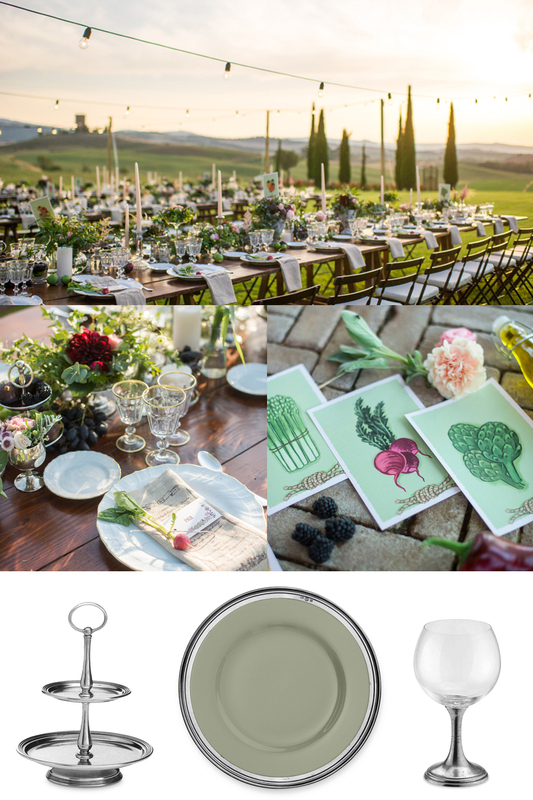 Here we suggest the pewter and sage green ceramic charger plate, the two tiered petit fours stand, and a tasting glass. Finally, the romantic vibe of The Ghirigoro Bottega harmoniously welcomes the Bollicine pewter and glass charger, the white wine glass, and the Bella Bianca cutlery set . What is your favorite mood? Would you adopt any another style? Do you need any suggestion or idea for a special wedding party? Write us! And continue to follow us on Facebook and Instagram.